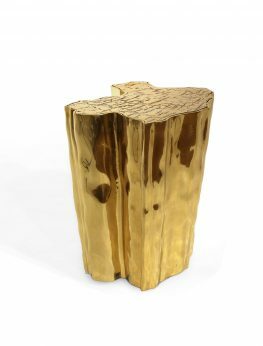 Colombos is the perfect pedestal table for a living room, hallway, entrance or lobby. 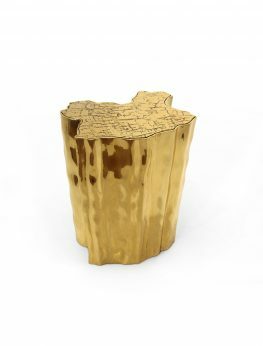 This very stylish piece is perfect for displaying a beloved collectible, books or perhaps a vase with flowers. 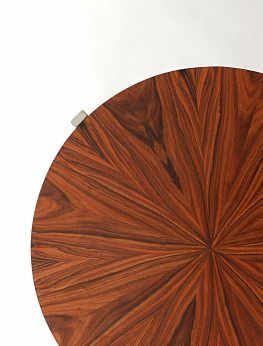 Colombos is really functional and it can be transformed into a coffee or a tea table. 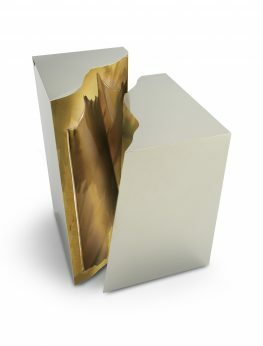 A single centre column, with a pedestal base as well as a simple and delicate silhouette, brings a new look to this very classic shape. 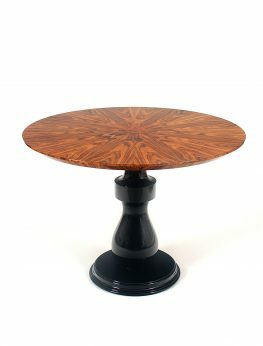 The tabletop is available in either rosewood or palisander. 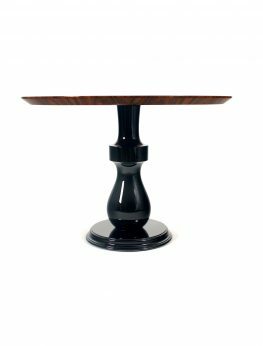 The single centre column is available in either beech, mahogany or walnut lacquer finished in black or white. 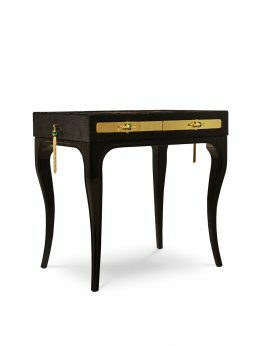 This highly coveted dressing table is bold, daring and seductive. 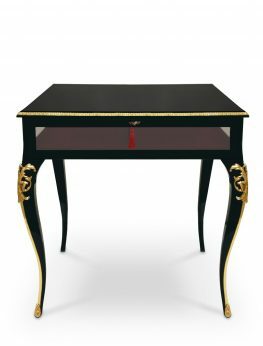 Structure is in high gloss black lacquer, the ultra soft reptile embossed velvet frames a gold metal top. 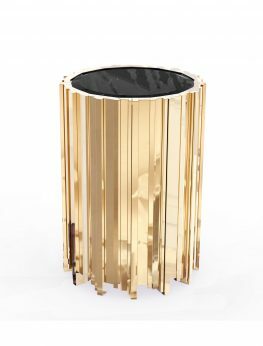 All this is juxtaposed with mesmerizing movements of emerald crystal tassels, which makes this side table, a magical, dynamic piece. 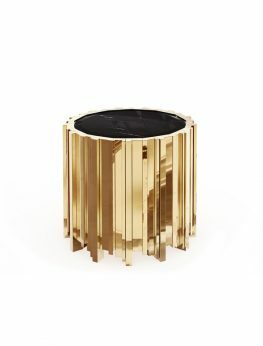 Fifth Avenue, in New York, inspired the name of this sophisticated décor piece. 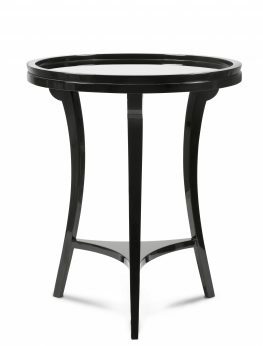 Fifth table is a very elegant and stylish side table with a mirrored tabletop. 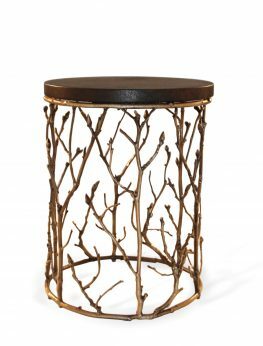 This gorgeous side table will look perfect next to your favorite sofa. 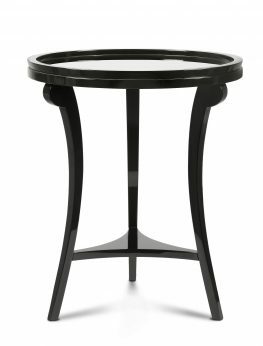 A round shaped top rests over elegant and refined legs that are joined together by a structure crafted in solid wood (oak or mahogany). 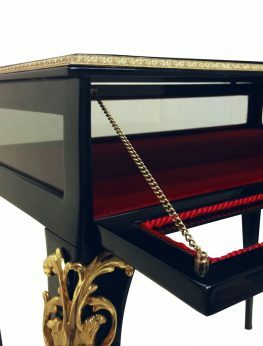 Additionally, the wood can be lacquered in two colours (white or black). 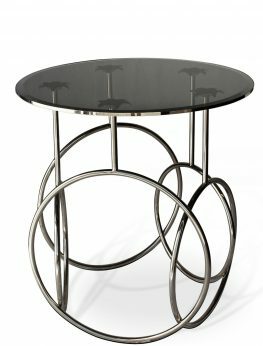 This elegant and sleek accent table will add sophistication to any interior, and can also be used as a modern coffee table. 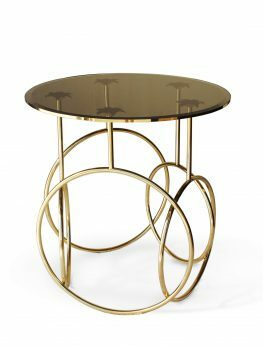 Inspired by the Hudson River’s clear waters, this contemporary side table – Hudson – is a modern design that can be used in any interior setting. 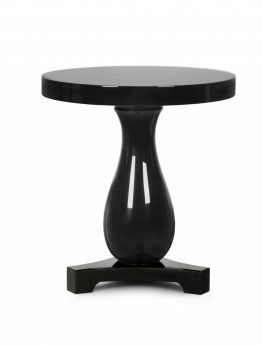 Its smooth design and its delicate silhouette make this table distinct. 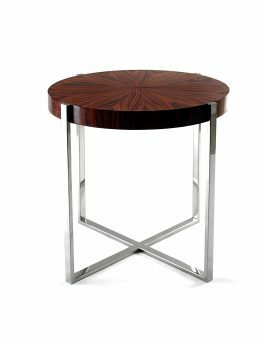 This magnificent side table made from solid oak, mahogany or walnut wood adds charisma and style to any interior. 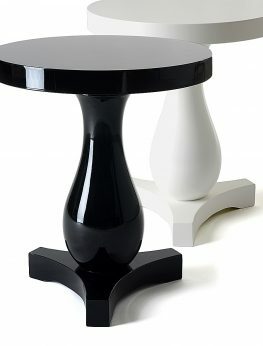 The table has a beautiful lacquer either black or white and is finished with high gloss varnish. 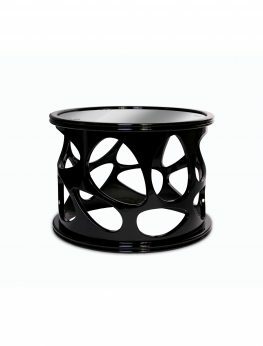 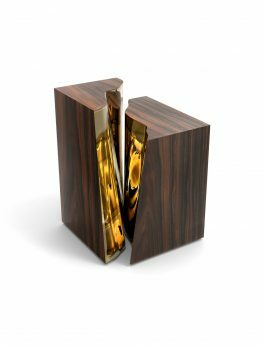 Lapiaz inspired this unique side table. 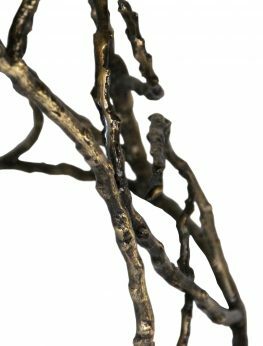 The french word is the name given to the karst formations produced by surface dissolution of limestone or dolomite rocks, and this became an inspiration for this beautiful piece. 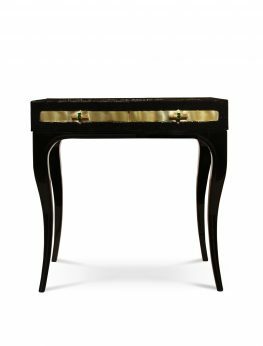 The polished brass details and mirrored sides attribute this luxury design , making it a statement piece for the most opulent interiors.